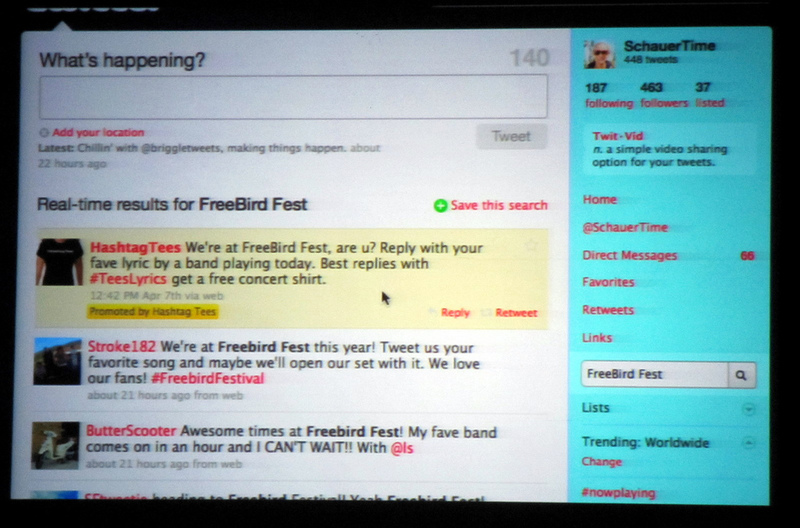 Blog posts about Twitter, a social network designed around the 140 character comments. ReThink Books Creates SocialBooks: Share Your Reading! The technological socialization of reading books is here. 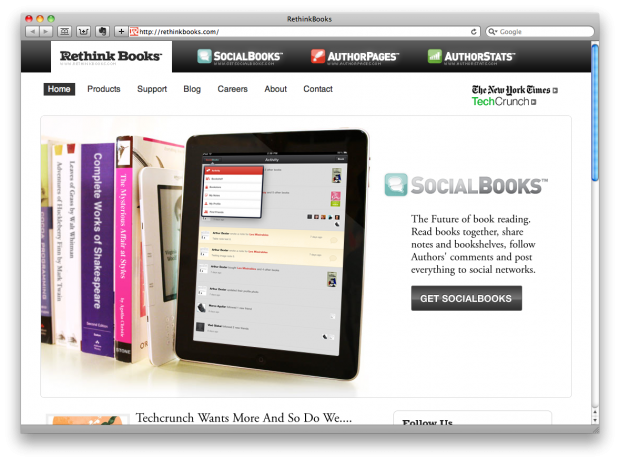 SocialBooks is making it possible for publishers to publish their books as apps for iPad. With “SocialBooks,” created by ReThink Books, you can now share what you’re reading more than ever. The soon-to-be-released iPad app will allow you to share specific excerpts from the book you are reading with your friends, discuss that excerpt, and even post media like videos and pictures to further explore the excerpt. Gone are the dusty old days when you had to have a Twitter button on your site for folks to share it on the social networking site. 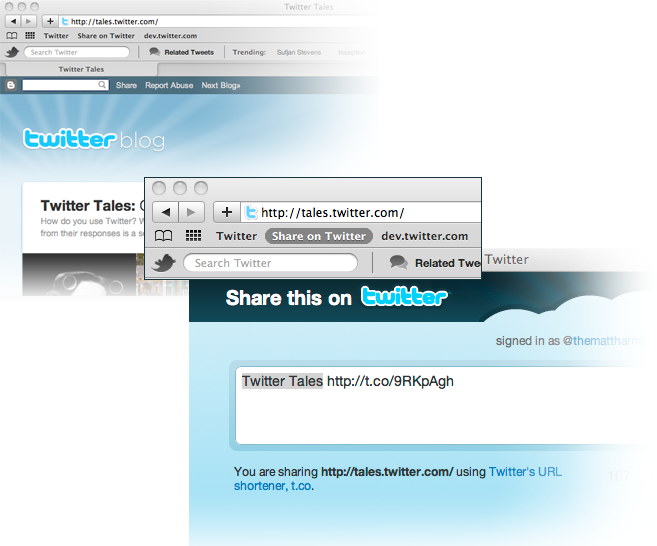 With Twitter’s “Share Bookmarklet,” you can instantly Tweet any website you visit. Instead of hunting down the little Twitter Share button on any site you wish to suggest to your friends and followers, you can simply click the share button on your toolbar. Say goodbye to your advertisement-free Twitter feed. Starting today, Twitter members will be seeing advertisements directly in their timelines (also know as Twitter Feeds). You will only see the advertisements if you use HootSuite, a type of third-party Twitter software, but the inclusion of advertising in Twitter feeds will eventually roll onto Twitter.com and into your timeline. When I clicked the option to try to the New Twitter, the screen immediately appeared as above. When I clicked any of the top menu options, nothing happened. When I clicked the Twitter logo to return to the home page, nothing happened. If you have enjoyed the basic, simplified look and functionality of Twitter, you should savor the time you have left with it. In the next few weeks, Twitter will be slowly transitioning to a new design that will feature more options and abilities thanks to new partnerships with companies like YouTube, Flickr, and Vimeo. Even though the two sites are linked millions of times a day, Facebook was not involved in the project. Seems like they might feel a little threatened by this expansion of their already popular competitor.